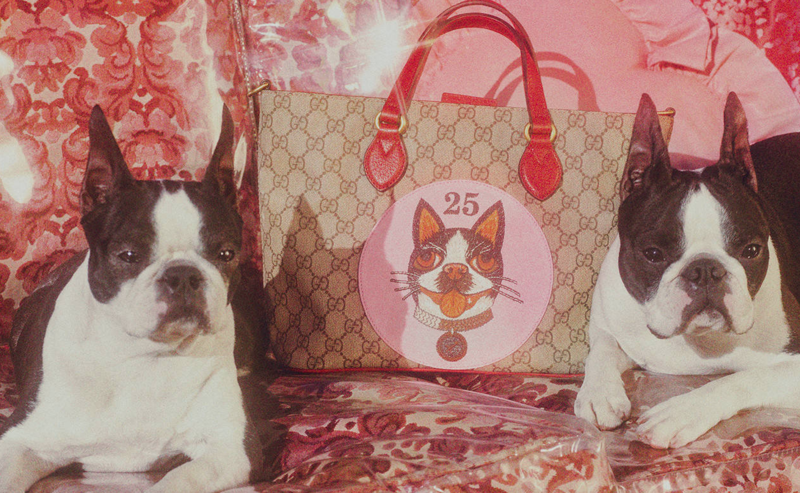 To celebrate the Year of the Dog — 2018’s Chinese New Year zodiac animal — brands are releasing luxury items you can sport all year long to commemorate the occasion. From clothing to chic accessories, these are the collectibles you must infuse into your repertoire. Swarovski invents some incredible home decor pieces, so why should their collection for the Chinese New Year be any different? Featuring two sculptures — the Zodiac Loyal Dog and Chinese Loyal Dog — these two pieces can be displayed anywhere in the home during the Year of the Dog. The Chinese Zodiac Dog statue ($529) is fashioned from 849 facets of golden crystal and sits on top of a crystal base, allowing for light to shimmer through whenever it hits it. The Zodiac Loyal Dog sculpture ($65) is more playful than stoic like Swarovski’s other dog companion figurine. The Loyal Dog, designed by Hiroshi Yoshii, is fashioned with blue crystal for the body and green crystal for the collar. Both are ideal to display in the home throughout the year. Available at swarovski.com.